Well, I got back in NZ on Friday. It was just for a quick meeting in Beijing on Asiatic black-bear conservation. China is home to more than just pandas. Although that’s easy to overlook given the amount of merchandise with bears on it. I even found a decent beer there (Panda Eyes Red Honey Ale) using pandas. 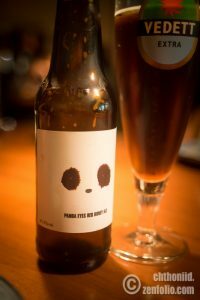 No pandas of course were used to make the beer. If you want a change from Tsingtao, Budweiser or Heineken though (and who doesn’t!) I can recommend it. It has a nice red ale taste with mild hops. Anyway, we were there for the black-bears. I can’t report on anything because things are confidential, but there seem to be grounds for cautious optimism. Before this however, we had a holiday up in the Bay of Islands. 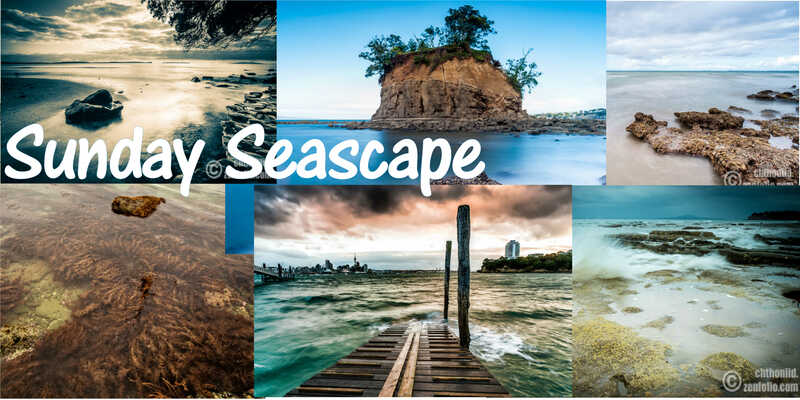 So that meant I could see some different seascapes to what we have around here. One of course is the ubiquitous ‘Hole in the Rock’. 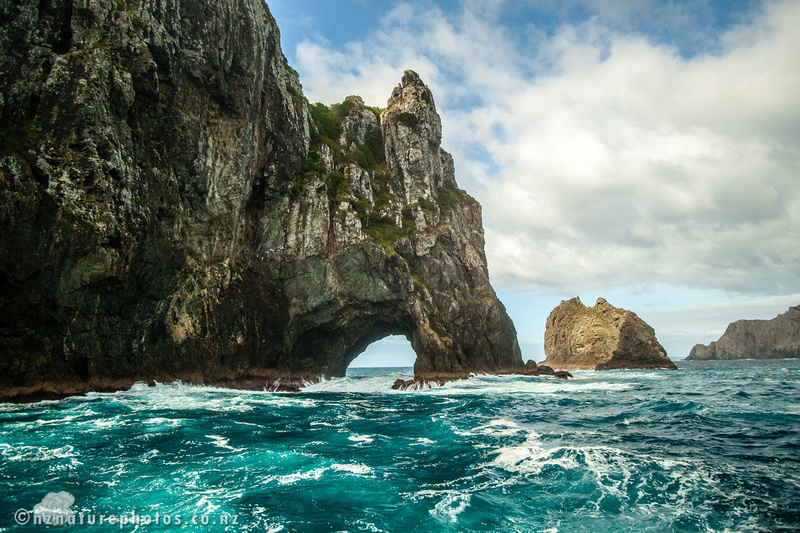 Going to the Bay of Islands and not seeing the ‘Hole in the Rock’, is like going to Xi’an and not seeing the Qin dynasty Terracotta warriors. Well, maybe not quite like that. But the point is we cruised out to check out this tourist icon. The weather was too rough to allow us to go though the hole. So these shots were taken on a pitching boat, with me hoping the gusts wouldn’t blow off the filter-hood I’d attached. I managed to find a shot that wasn’t too crooked. For this trip I’d used the older Sony a900 with the Minolta 17-35mm f3.5 G lens. While I now tend to prefer the more compact A7R for travel and landscape shots, it is a less versatile camera. And the a900 turned out to be just what I needed for the dolphin pictures.